Justin Filtz began playing poker when he was 15 after watching poker on TV. Shortly after Justin began playing he started to take poker more seriously and with encouragement from his mother (Melinda) and brother (Jordan, 17) he worked hard to improve on his game because he loved to play. 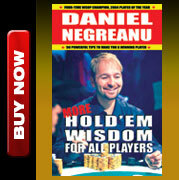 Early on in his poker career he played low stakes tournaments and cash games online and home games with friends. After a friend sent him $20 online he steadily progressed in low stakes cash games and has never had to deposit online since. Shortly after he turned 18 he decided that he would play professionally. He continued to move up stakes online and made occasional trips to Upper Michigan, at an Indian Casino where you only have to be 18 to play, to work on his live poker game. When Justin was 20 he decided to travel to tournaments in Minnesota, Michigan and New York and had success right away finishing second in the Fall Poker Classic in MN and making two final tables on the Heartland Poker Tour. Going into the 2008 WSOP Justin felt he was playing his best game and had momentum on his side. The day after he turned 21, Justin made his first cash in Las Vegas at the Bellagio getting an 11th place finish. 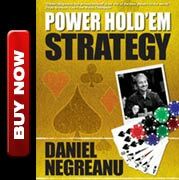 In his second WSOP event he narrowly missed the money in the $5,000 NL event and made his first WSOP cash in the next event he played finishing 102nd in a 2,702 player field in the $1,500 NL event. Just two days later after holding or being near the chip lead for most of the tournament, Justin made his first WSOP Final Table after fighting his way through a tough field with many strong players at the final few tables, including Dario Minieri, Scotty Nguyen, Bill Chen, and Bruno Fitoussi. Justin went into the final table 3rd place in chips, and with the support of many FCP members in the crowd he competed to become the youngest WSOP bracelet winner of all time. After a grueling final table he made his largest cash to date finishing in 3rd place for $214,139. A few short months later, he finished in 10th place in the $5,000 WCOOP Main Event that had the largest prize pool in online poker history. In late October of 2008 Justin won a WSOP Circuit Event, receiving a gold WSOP Circuit ring, at the Horseshoe Hammond in Indiana. He enjoys traveling to compete in big tournaments around the country now that he has turned 21. Justin usually plays 10-20nl and 25-50nl hold’em cash games online and some of the bigger tournaments. Justin said, "I would like to thank my family, friends, and all of the Full Contact Poker forum for supporting and encouraging me in the game I love to play throughout the start of my poker career. I enjoy being a member of the FCP forums because of the sense of community, friendship, and humor that makes FCP such a great site."